The Verdigris system draws its operating power directly from the panel on which it is installed. During installation, the system can be powered on to run installation diagnostics and configuration setup. If the panel will be fully de-energized, the system can be temporarily powered from a nearby wall receptacle. If there is no nearby or temporary power available, a battery-powered inverter can be used for diagnostics before completing the installation and re-energizing the panel. 1. Acquire an off-the-shelf power cable for a wall outlet (you can buy one from the local hardware store or get a spare from your IT department). 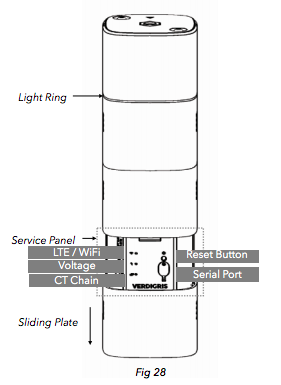 Note: these instructions apply to NEMA 1-15P and 5-15P type connectors. 2. Cut the cable --opposite the male end 🔌 -- with enough length to reach the power source. 3. Insert the cut ends into the N and B ports on the bud. 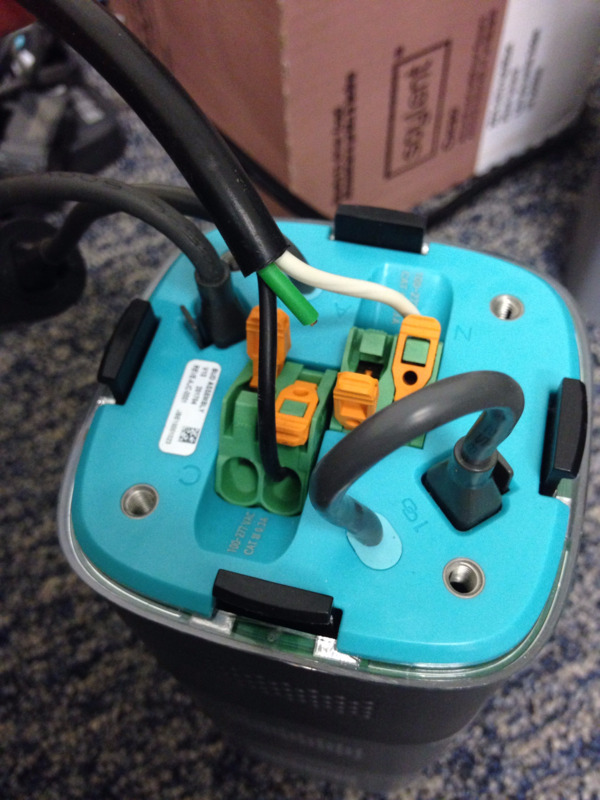 Either configuration should work but ignore the earth ground (shown green in the attached picture); or use a two-prong cable. 4. Plug into portable battery-powered inverter (see specs below) or wall outlet as normal. 5. ⚠️ Use caution. Always connect the exposed ends into the bud before plugging the male end into the power source (wall/inverter); and unplug the male end from the power source before disconnecting from the bud. 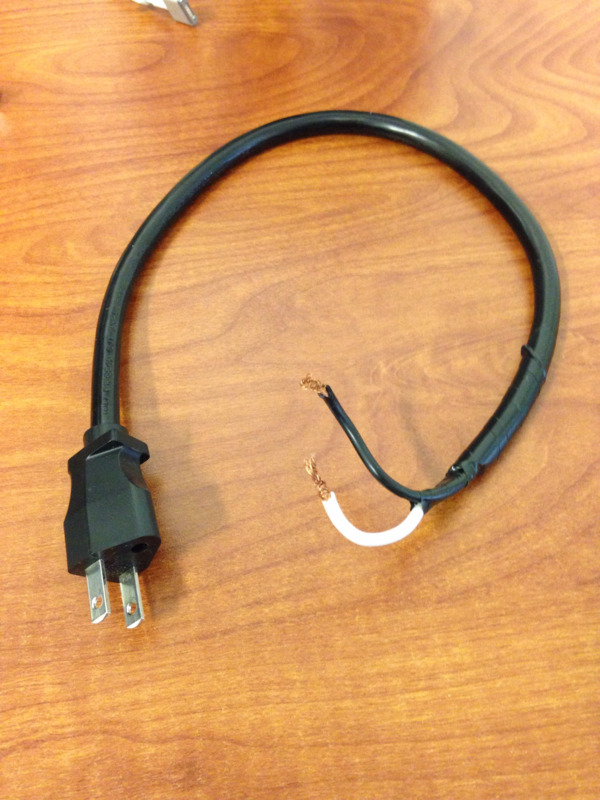 Contacting the exposed ends while connected to power can result in injury or death. The type of battery-powered inverter used by the Verdigris team is the "SUAOKI 222Wh Portable Generator Power Source CPAP Lithium Battery Pack Power Supply Silent 110V/60Hz". ⚠️ Disclaimer: The instructions provided herein are for informational purposes and do not represent official installation instructions, recommendations, nor guarantees of safety from Verdigris. User accepts all risk, and agrees to waive Verdigris of all liability for any injury resulting from the handling of live electrical equipment.